Wildlife Rehabilitation & Release is a 501(c)(3) nonprofit organization dedicated to the care and rehabilitation of injured and orphaned wildlife. Each year our team successfully releases over 100 different species of native wildlife, including mammals, songbirds, raptors, waterfowl, reptiles and amphibians. 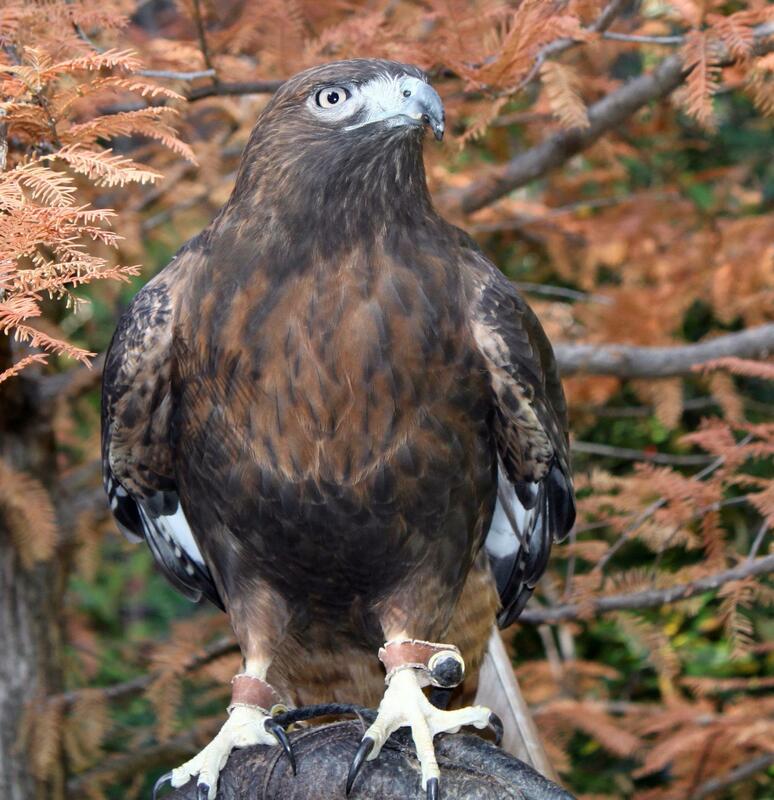 Wildlife Rehabilitation and Release (WR&R), has been in existence, with differing names for over 25 years. It is an all-volunteer, nonprofit organization, dedicated to assisting injured or orphaned native songbirds, raptors, small mammals and bats. WR&R receives no government funding and offers their services for free. We depend on donations, grants, and fundraising to continue this important work. Currently, WR&R does not take in large wild mammals including deer, bears, or mountain lions. For injured young, WR&R will assist in getting the needed care from other organizations that specialize in assisting these animals. Nor does WR&R take in waterfowl or ground-based birds such as turkeys or quail, but can direct callers to those groups that do handle such species. WR&R does not have the facilities nor the volunteers with the expertise to care for these species. A answering service is available 24 hours a day, every day of the year to take calls from the public. This hotline number is 530-432-5522. If an animal has been found in distress, the answering service will contact a volunteer rehabber who will then call the person who found the animal. They will make plans to get the animal the care it needs. The songbirds, small mammals and bats are rehabbed at private homes of the rehabbers. A raptor center is located on private land and is the primary location for raptor rehabilitation. The Intake Center is open from May 1 through August and serves as the triage center, primarily for songbirds, but also takes in other animals as needed. Wildlife Rehabilitation and Release originated in 1985 among a group of people at Beale Air Force Base in the Yuba City/Marysville area. 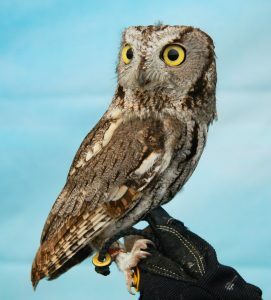 They called themselves “Care of Birds of Prey” and established their by-laws and licensing as Feather River Wildlife Care. In 1989, Mike Furtado started rehabbing raptors with guidance by local veterinarian, Dr. Mike Trapani. Mike Furtado joined Feather River Wildlife Care and not only rehabbed raptors but other wildlife as well. In 1990, an outbuilding on Mike’s property was remodeled into the clinic facility which is still in use. He continued to expand the facilities, donating much of the funding himself along with support from generous donors including PG&E and Beale Air Force Base. In the 1990’s, Feather River Wild Care continued to grow with new members, new administrative guidelines, fundraising and community outreach. New care manuals were written for raptors, songbirds and mammals. In 1999, the number of animals treated reached 528 and over half of these were songbirds. It was decided to rent space in Grass Valley to care for the songbirds. This was a major undertaking for such a small non-profit, requiring extensive publicity, donations, and remodeling of the rented facility. In 2000, the Songbird Center opened. With the move to Grass Valley, the name of the organization was changed to Wildlife Rehabilitation and Release in March, 2004, and the group registered as a domestic, nonprofit corporation. In 2007, the bat rehab program was added with its primary point of contact being NorCal Bats, near Davis. In May of 2010, with the help of a generous donor, an Intake Center was opened in the Brunswick basin, to receive injured and orphaned animals. The volunteers at the intake center provided emergency and temporary care for the distressed songbirds and animals before they were transferred to home rehabilitators. Raptors continued to be cared for at the Raptor Clinic in Penn Valley. In 2013, the Intake Center location changed to its current site at 809 Maltman Drive, Grass Valley, CA 95945. The group still yearns for a full operational compound to house rehabilitation facilities to care for all the animals and birds as well as provide an Intake Center. Ongoing searches continue to scan real estate ads for potential land and facilities to care for the constantly increasing numbers of injured or orphaned animals and birds needing care. 1,243 injured or orphaned songbirds, raptors, small mammals, reptiles, and bats. Out of that number, 815 were released back into the wild, transferred to another facility or kept in care for additional treatment. We assisted 527 songbirds, 180 raptors, 216 small mammals, 5 reptiles, and 315 bats. 585 songbirds, including blackbirds, bluebirds, chickadees, doves, finches, hummingbirds, jays, crows, ravens, mockingbirds, orioles, sparrows, woodpeckers, robins, swallows, Northern flickers, warblers, wrens and more. 161 raptors, including eagles, red-tailed hawks, red-shouldered hawks, Cooper’s hawks, sharp-shinned hawks, Osprey, Northern harriers, American kestrels, Western screech owls, Saw-whet owls, pygmy owls, great-horned owls, barn owls, spotted owls, turkey vultures, and one Peregrine falcon. 126 small mammals, including squirrels (ground, tree and flying), raccoons, foxes, jack rabbits, cottontail rabbits, brush rabbits, coyotes, striped skunks, opossums, field mice, deer mice, woodrats, gophers and one Yellow-bellied marmot. 481 of these animals were released back into the wild, kept for additional rehabilitation, or transferred to other wildlife care organizations.